A cover is a letter that explains the reason for writing. 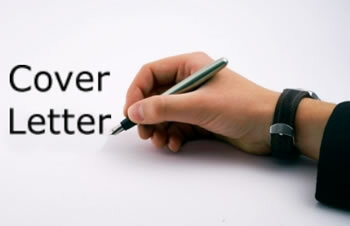 A cover letter is a letter that is often attached with the resume and/or curriculum vitae (CV). Its main purpose is to introduce the applicant to the potential employer. The resume lists the person’s work and education experience, however, the cover letter introduces the employer to the person behind the resume. The cover letter is used to show the person’s personality, motivation, habits, and various other reasons that would make them great at the job. A decent cover letter must introduce the applicant, explain the purpose of writing, and highlight a few experiences that are applicable for the job. It also shows the employer that you are invested in the job, as you are taking the time to personalize the job application. The cover letter is the first impression that the employer would have of the applicant. Hence, it must be flawless. Firstly, the cover letter must not be generic. It must be original and specific to the company and situation. If possible, address the letter directly to the person who will be reading it, whether it is the hiring manager or the head of the department. The cover letter should demonstrate that you know what the job requires and that you are familiar with the company. Hence, you should be specific about the job you are applying to, or if it is prospecting letter, then indicate what kind of jobs would be suitable. Firstly, introduce yourself in the letter. Indicate, how you came to know about the job and the company, and why you are interested. Show them who you are, state your experiences in a story-like format; don’t just list them, like in the resume. Tell them why you think you would be a good candidate for the position; show them what you would bring to the company. Use anecdotes from your life to support your claim. For example, to highlight your leadership qualities, mention how you used to always organize events at your school or college. Also, highlight your skills that would make you suitable for the job and for working for their company. Especially, highlight the skills that the employer is looking for. You can call the employer in order to ask about the job and skills that they are looking for, and then showcase them in your letter. However, make sure that you are not just repeating all of your information that is already listed in the resume. The cover letter is an accompaniment to the resume, not a replacement. Use the cover letter to highlight the particular skills out of your resume. Keep in mind, that the letter represents you, so, be true to who you are. Do not exaggerate or lie either on the cover letter or the resume. Of course, the article should be immaculate, and be grammatically correct, properly punctuated, and perfectly spelled. Try to direct and clear but also mature. Avoid long and intricate sentences and paragraphs and avoid jargon. Convey confidence, optimism, and enthusiasm, as well as respect and professionalism. Ask people you know or people who are in the field to read through your cover letter. They will be able to critique the letter and give you guidelines to revise and improve the letter. 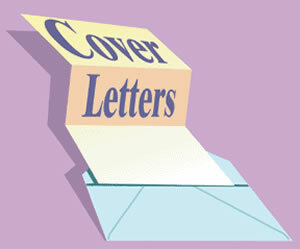 Also, ensure that the cover letter fits within a page and is printed with a personal letterhead. In case you are submitting your resume by e-mail, you need not attach a copy of a cover letter. The e-mail essentially works as a cover letter. Input everything you would have in the cover letter, into the e-mail body. You need not however include a letterhead. Just include your contact information at the end of the e-mail.